Intel’s next generation of processor based on the 14nm fabrication process, has been spotted. 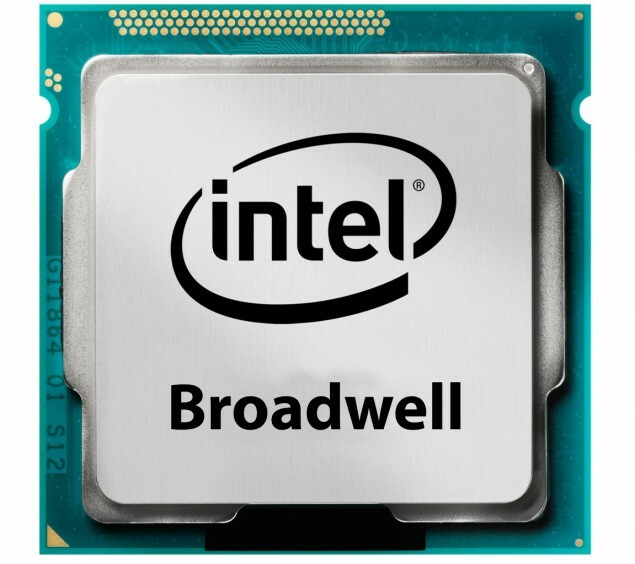 Broadwell will mostly benefit the notebook/laptop platform that usually gain the most from any changes in efficiency and TDP. The source of the leak was our friends over at ChinaDIY. Intel Broadwell 14nm Next Generation Processors have a Minimum Specification of only 3.5W. Boadwell will improve CPU/GPU (on-chip) performance while bringing significant reduction in power consumption. Slated to be released by Q2 2014, details have just surfaced about Intel’s 14nm fab process. Mobile ‘Core’ Processors are basically divided into H, U/Y and M categories. Where H is the high performance, M is mainstream and U/Y are the ultra low voltage processors. The U and Y series allows incredible battery life while maintaining adequate performance. In Broadwell, the H series will be divided into Dual Chip and Single Chip Processors. The Dual Chip will have upto 4 Cores (Max 8 Threads) and the Single Chip will have 2 Cores (Max 4 Threads). The Former will have either the GT3e or GT2 GPU and upto 6MB of L3 Cache. It will support upto 32 GB of DDR3L memory at 1600 mhz. The TDP will be 47W but configurations can reduce this to 37W. There will be a new chipset as well ‘HM97’ apart from the usual HM86, HM87, QM87. The Single Chip variants will utilize the PCH-LP chipset and it is unclear whether it will be an SOC but evidence suggests that it will be .The GPU will be GT3e with your basic specs. Now the U series will all be only single-chip and house upto 2 CPU Cores (4 Threads). These will have upto 4mb of L3 Cache and support upto 16GB of DDR3L-1600 RAM (OR 8GB LPDDR3-1600). TDP is rated at 15/28W. GPUs will vary according to model and GT3, GT2 and GT1 will be used. The Y series will have upto 2 CPU Cores (4 Threads?) and 4MB of L3 Cache with GT2 GPU. Memory will be 8GB-LPDDR3-1600 and TDP a lowly 4.5W. This can be further reduced to 3.5W in some configurable models. This kind of ultra low tdp would give astonishing battery life in Netbooks and Tablets and we cant wait to see the results.